The most wonderful time of the year is back again! Our famous Advent Calendar Gatcha is back for its 5th year with marvelous holiday-themed home decor prizes to delight! 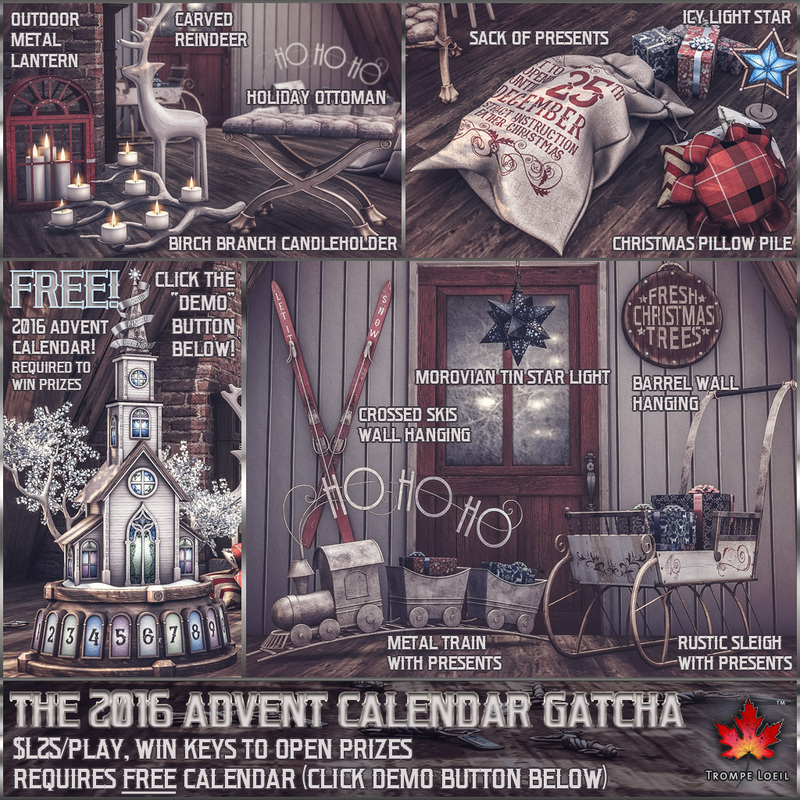 This year’s free Calendar is styled after a rustic church set in a wintery tableau. Rez each of the 12 Keys (won playing the Gatcha at The Arcade) by your Calendar to light up a numbered window, a portion of the Calendar build, and win a prize! From reindeer to Father Christmas’ sack of presents, gentle lighting and sleighs full of gifts, there’s plenty to inspire holiday cheer. Head to The Arcade and grab the free Calendar from the “DEMO” button on the machine, then play to win Keys! Unused Keys can be traded or gifted – see our Instructions & FAQ page for all the details. 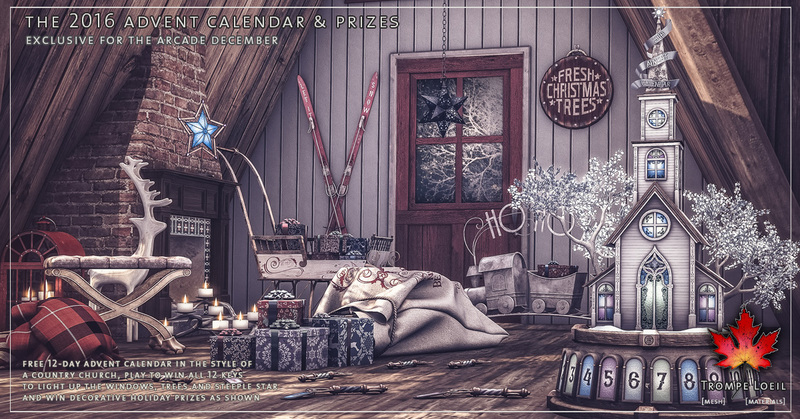 As always, the Advent Calendars from previous years are available at the Trompe Loeil Mainstore – with 5 years worth of holiday decor presents to win, there’s sure to be a special something to make your night merry and bright!